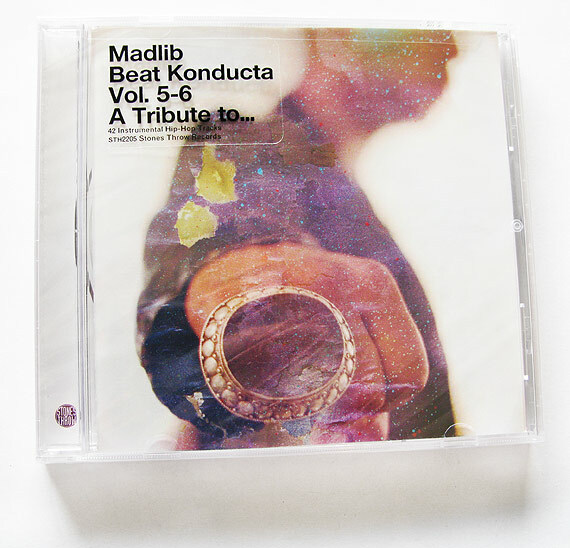 So legend has it that the Beat Konducta series was actually something that started long ago where, Madlib would send out his beats to all of the artists and producers he was working with at the time. Varying in lengths and concept, they all had the moniker “Beat Konducta” scribbled on it. We are now at vol. 5- 6. Each volume couple has had a concept but none quite like this latest release. Vol. 1 and 2 was “Movie Scenes” where all the beats sounded like some Dolemite mixed with Monkey Hustle [lol]. Vol. 3 and 4, “Beat Konducta in India” stayed in the movie theme, even the same time period, [the 70’s] but took it over to the Bollywood side of things. The Upcoming Vol. 5-6 is simply titled, “A Tribute to…” this is the first Beat Konducta where Madlib is not working solo. J. Rocc has also lent a hand in what can be described as a tribute to the late J Dilla. We can’t wait to get our hands on this one. Madlib and J Dilla have worked extensively together, primarily on the masterpiece of an album, Champion Sound. It should be interesting to hear what Madlib and J. Rocc will put together….